Dr Leslie Bash teaches two modules on the MA in Jewish Educational Leadership – Research Methods and Skills, and the Global Context of Jewish Education, as well as supervising student dissertations. 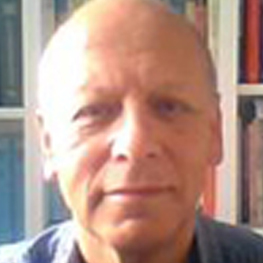 In addition, he is a visiting fellow at the Institute of Education, University of London where he is attached to the International Centre for Intercultural Studies. He was previously based at Anglia Ruskin University where he was principal lecturer in education and remains a visiting fellow there. Having graduated in sociology and trained as a secondary school teacher he subsequently taught social studies in London secondary schools and, at the same time pursued postgraduate studies in education, eventually gaining a PhD in comparative education at the Institute of Education. He regularly presents at international conferences and has published widely, having authored, co-authored, edited and contributed to a number of volumes, as well as journal articles, in urban, international and intercultural education. Leslie is currently secretary general of the International Association for Intercultural Education and an associate editor of Intercultural Education. His current research interests are: religion, the state and education; diversity, equity and education; intersectionality and cultural issues in education.